For the first time ever, Erica Domesek and her merry band of DIYers hit the West Coast, hosting four workshops at Duff’s Cakemix in Los Angeles. In the spirit of #cincoDIYmayo, LA’s creative set, along with celebs Rachel McAdams and Sarah Michelle Gellar, had a blast customizing statement necklaces & bracelets and bedazzling cake servers while enjoying festive cupcakes and fresh green juice from Pressed Juicery, and sipping delicious handmade cocktails from the DIY margarita bar provided by Patron, who also sent everyone home with personalized cocktail tools. For more images from the event click here. 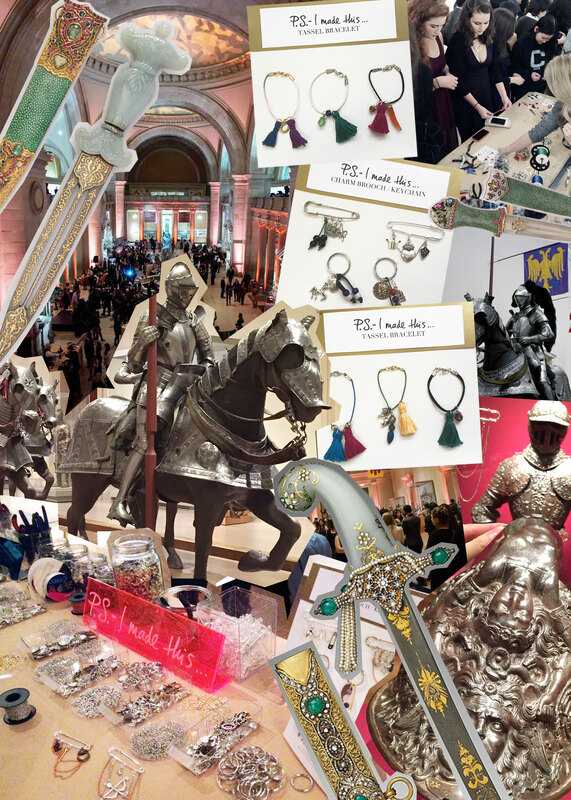 It was truly a “knight” at The Metropolitan Museum of Art where we joined the College Group at the Met to celebrate the Museum’s renowned Arms & Armor collection, featuring approximately 1,000 objects. 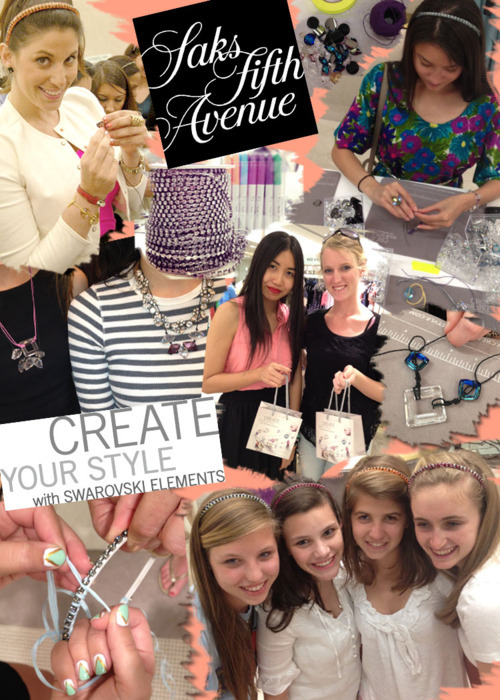 Students created DIY charm & chain brooches along with tassel bracelets inspired by ornate weapons and medieval armor. 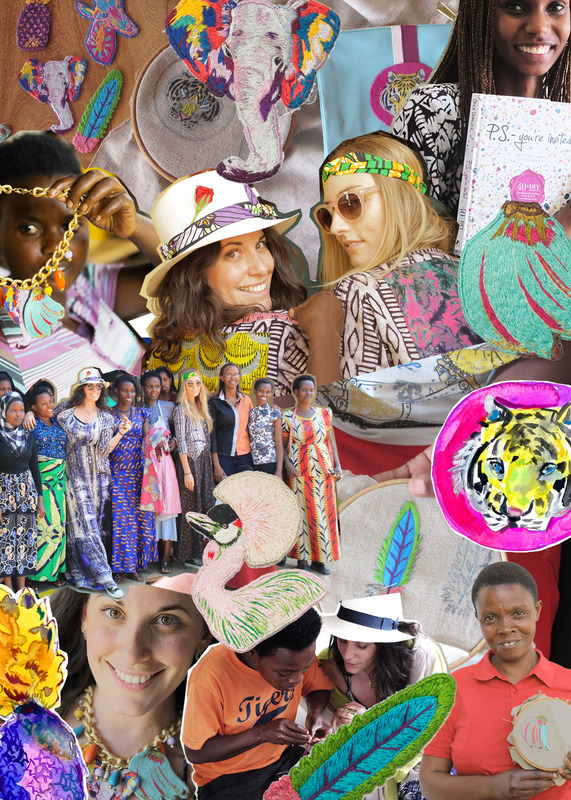 P.S.- I made this… is proud to have had the opportunity to collaborate with the innovative people behind Indego Africa, an amazing social enterprise that empowers women artisans in Rwanda. Their beautiful products, from jewelry to home decor and accessories, are handmade in partnership with 14 cooperatives made up of over 500 women. With all profits going back into the organization, Indego Africa is able to provide them with essential job skills; from management, entrepreneurship, design, literacy, health and technology, along with the ability to sustain a positive life for themselves and their families. Erica made the inspiring trip to Africa this summer to see firsthand the production of a collection of DIY Iron-On Patches that she designed exclusively for Indego Africa. The patches, inspired by Africa’s rich culture and landscape, are handmade by the IBABA cooperative—a group of 28 talented Rwandan women artisans known for their stunning and life-like hand-embroidery, using techniques originally taught to them by Belgian nuns. Check out our video debuting their gorgeous work here, and then head on over to IndegoAfrica.Org to purchase a set. 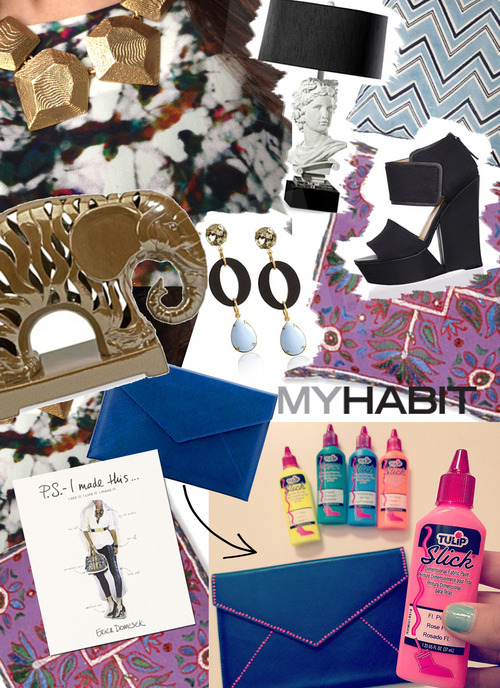 And for added inspiration, view our DIY patch projects! Erica was accompanied by friend and co-founder of the conscious lifestyle guide Conscious Commerce Barbara “Babs” Burchfield. Together the two documented their visits to numerous cooperatives, where they met with the artisans to witness their work and hear their inspiring stories. Watch the journey here and get their insights on the positive impacts of social enterprise. We are constantly in search for the latest and greatest inventions to keep you on your toes, and what better place to go for inspiration than the Craft & Hobby Association’s (CHA) Conference & Trade Show since it’s where thousands of member companies gather together to gain exclusive access to the newest creative products. 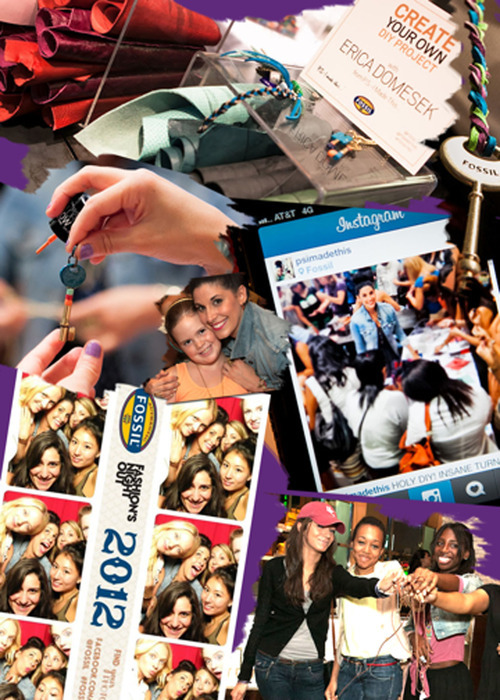 We stopped by the CHA Hot 20 VIP Media and Retailer Event to check out what’s new and what’s hot in 2014. Want to know what really caught our eye? 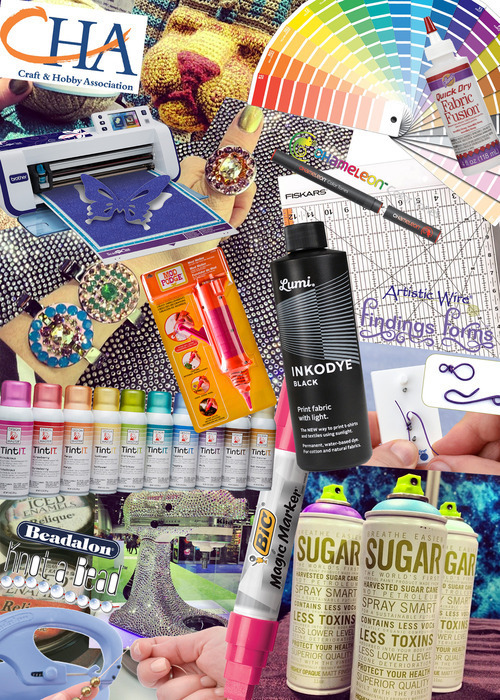 The Lumi Inkodye Black: a sunlight-activated fabric dye that allows you to print your own photos onto fabric, the Brother DPI built-in scanner, and the Plaid Enterprises Mod Podge Mod Melter: a tool used to fill the Mod Molds with the Mold Melts. It allows the crafter to fill the molds with ease for molded embellishments, home décor, paper crafts and more. Stay tuned to see what 2014 has in store. It’s the most wonderful time of the year! 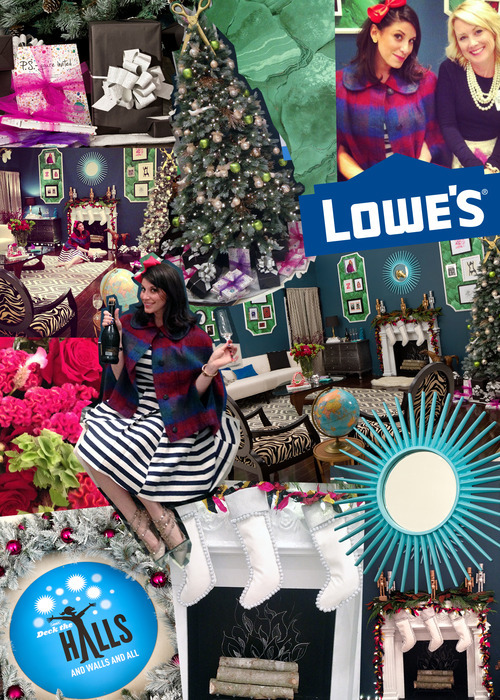 We got a jump start on the holiday season with LOWE’S at the DECK THE HALLS AND WALLS AND ALL holiday press event in NYC. We were invited to decorate any room; we chose the living room for the obvious Xmas tree and cozy appeal. Erica used her interior design roots to design and decorate the space with a bevy of Lowe’s furnishings and lots of festive DIY touches. Handcrafted elements included metallic nutcrackers, embellished stockings and a color pop mirror were show-stoppers. Check out the entire festive rom HERE or search #HolidayReadyHome on social to see more pics! P.S.-we worked with Lowe’s on this exciting project who sponsored our feature. We headed up to Toronto’s Holt Renfrew on Bloor Street, for our first ever event in Canada! Erica signed copies of her new book, P.S.-you’re invited… while greeting fans. 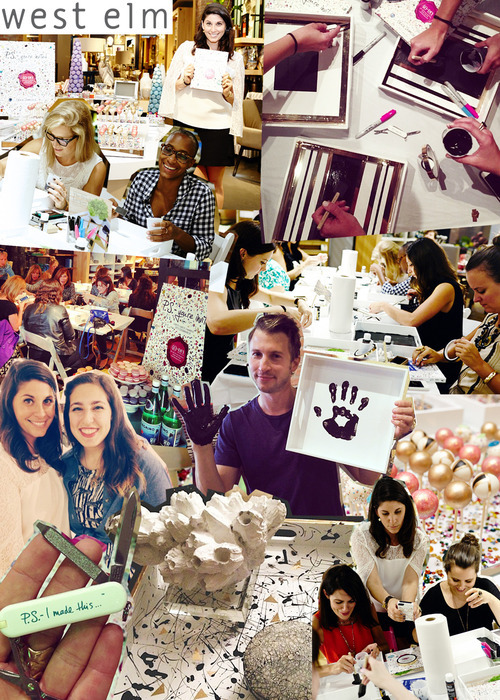 Hundreds of guests enjoyed a delightful crafternoon decorating Hudson Denim pouches with an array of Swarovski crystals. Click here to check out more photos from the event then get inspired with this behind-the-scenes video. 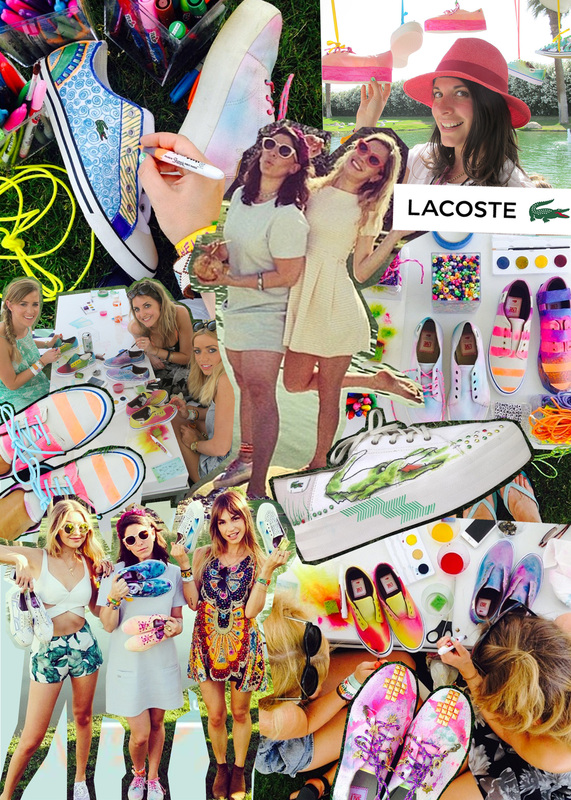 LACOSTE is celebrating eighty years of style with a limited edition versions of the classic L.12.12 tote featuring artwork by three of today’s most influential tastemakers; Aimee Song of Song of Style, Katie Rogers of Paper Fashion, and Erica Domesek of P.S.-I made this… Erica’s design is inspired by items she carries with her all the time and her love for drawing and doodling. 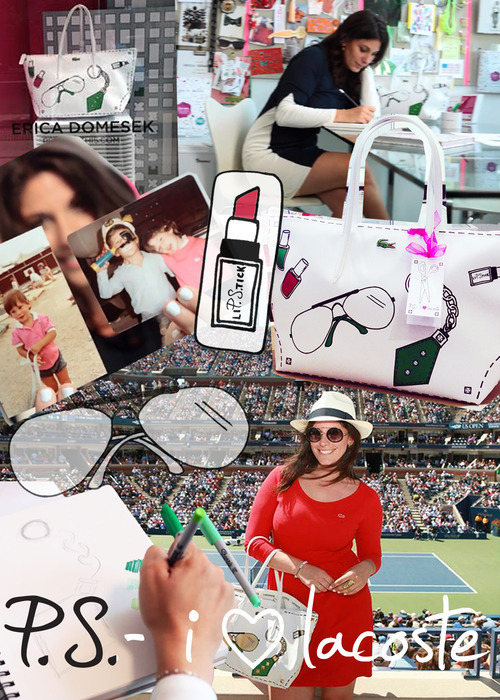 Her tote creation is “an extension of real life and the everyday girl.” P.S.- Watch Aimee, Katie & Erica describe their design process here. In celebration of the Nordstrom Beauty Spot launch, Erica created two exclusive DIY projects: a beauty brush holder and a makeup tray. Both which repurpose every day objects to help you get organized! 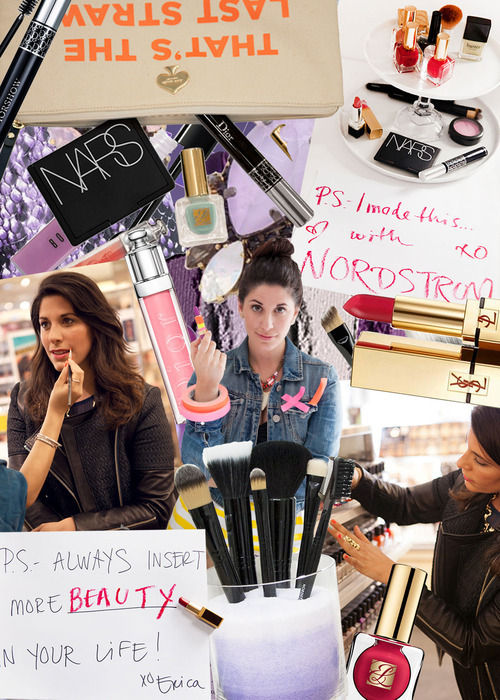 Alongside five other tastemakers, Erica met up with Nordstrom Beauty Stylists to play with fall trends. The skincare evangelist curated her top beauty picks, check them out here. Show off your beauty faves or latest buys through Nordstrom “Spill Your Beauty Bag” on social @Nordstrom @NordstromBeauty. P.S.- Nothing says spring more than Marimekko’s vibrant and eye catching prints. 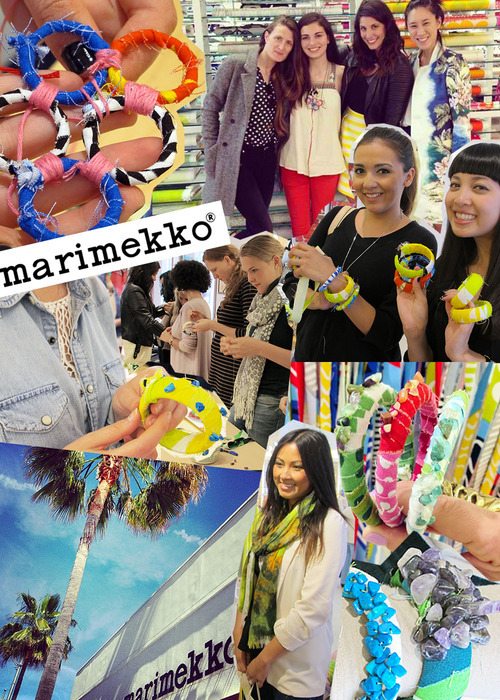 We made the trip to their Beverly Hills store to celebrate spring and stylish accessories. Each guest selected their favorite pattern and made bright fabric wrapped bangles, stacks of gemstone bracelets and intricate wrapped and woven statement necklaces. 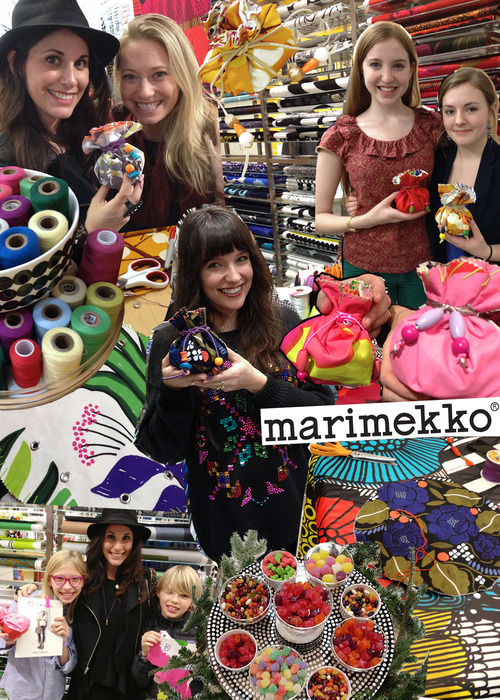 Click here to see more photos from the crafternoon and check out all of Marimekkos latest prints here. P.S.- Who ever said denim should only be worn as pants hasn’t seen the rad accessories guests made on5F using denim from JBrand, Rag & Bone, Mother, Current Elliott, AG Adriano Goldschmied, Hudson, Koral, and Helmut Lang. Whether it’s dark, light, striped, patterned, or bright, we’re obsessed with all the latest trends in denim! 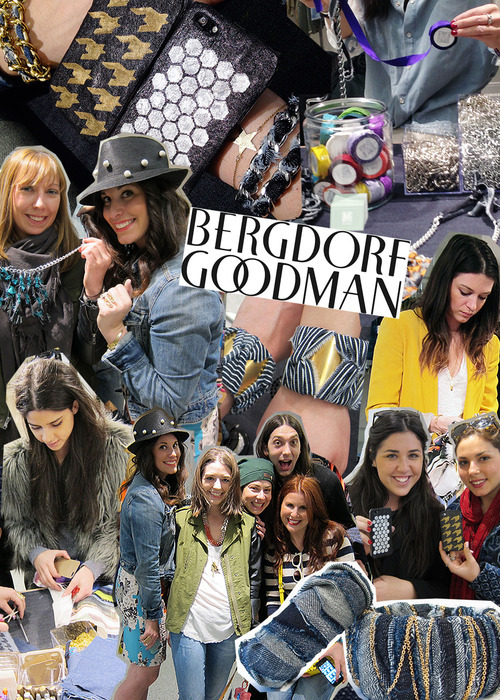 We partnered with Bergdorf Goodman to host the denim event of the season. Attendees made denim and chain wrapped bangles, denim wrapped cuffs, denim covered cell phone cases, one-of-a-kind silver and denim necklaces incorporating Midori Dupioni silk, and much more. 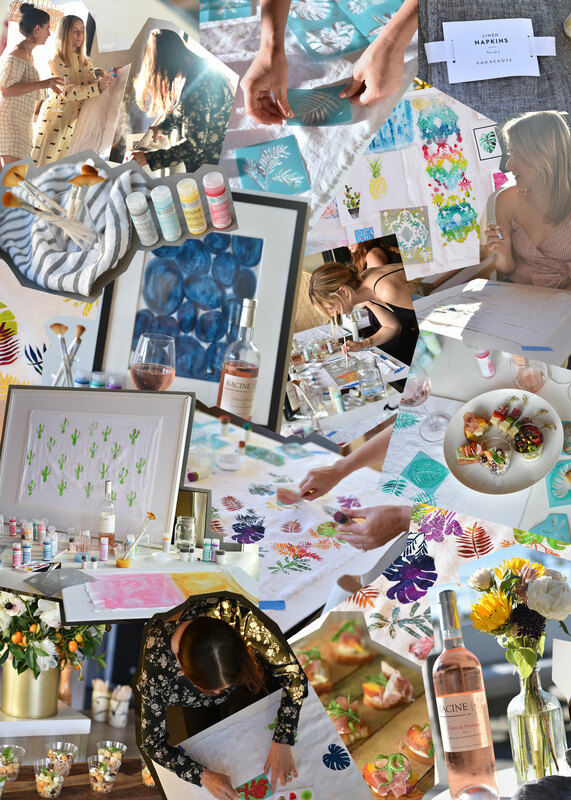 Crafting combined with shopping made for the perfect spring crafternoon! P.S.- We love bold prints and color, especially Marimekko’s vibrant and inspiring fabric. 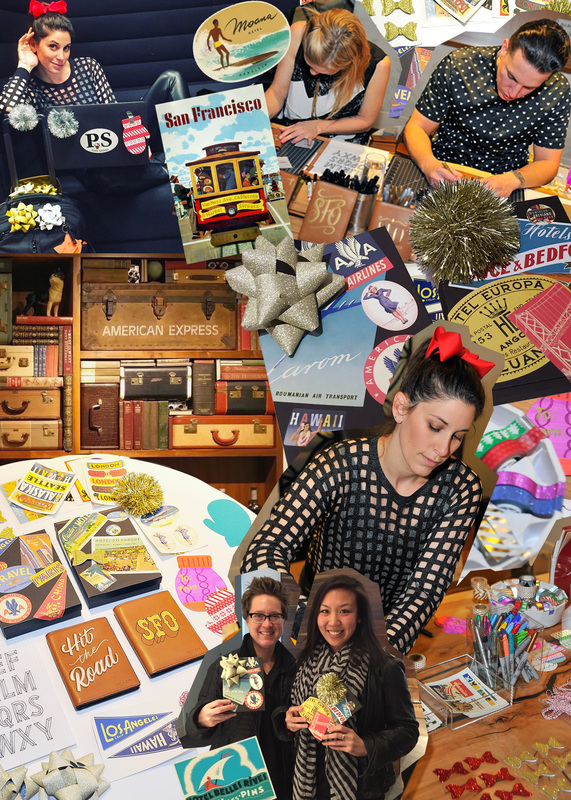 We turned their Flatiron flagship into a DIY party making custom holiday pouches. Each attendee selected their favorite pattern and got busy whipping up a DIY designer creation. With plenty of colorful beads, string, cord, grommets, and more- no too creations were alike. Click here to see more photos from the nights festivities and get inspired by browsing all Marimekko has to offer here. 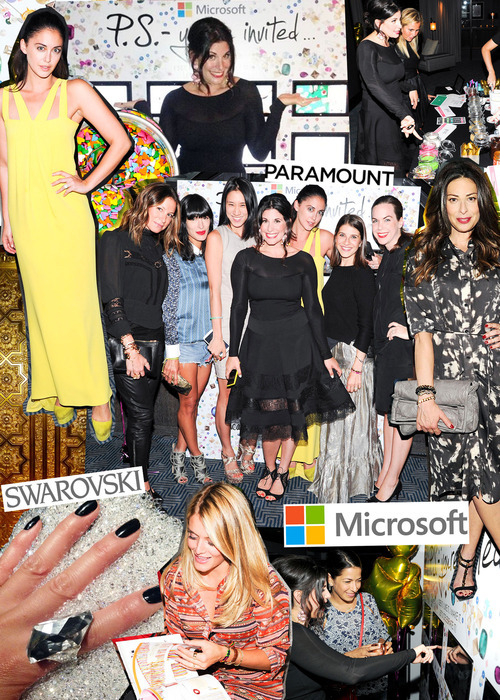 P.S.- Where were you on Fashion’s Night Out? We were in Time Square at Fossil’s Flagship location. Hundreds of DIY Darlings showed up to craft and hang with P.S.- I made this while shopping Fossil’s Fall Collection. We created color blocked painted key necklaces using Fossil’s gold and silver key charms and a bevy of bag charms crafted from Fossil leathers. Combined with a photobooth with live Facebook updates, artisanal flavored sodas, and a non stop DJ we wished we could have stayed all night. 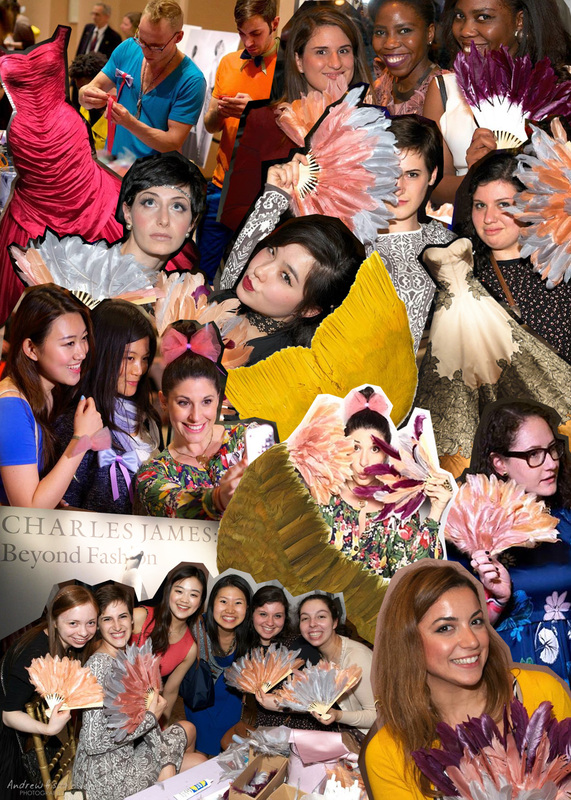 Click here to see more photos of our fabulous FNO! 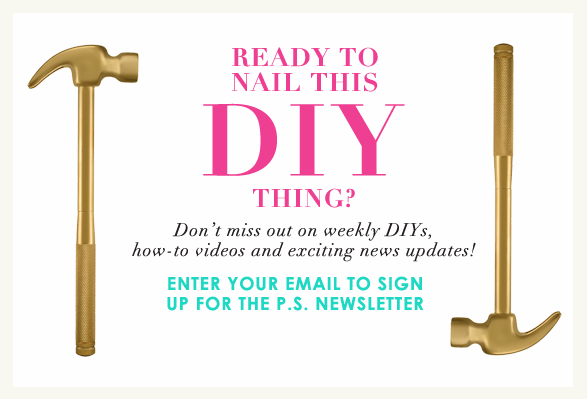 T-I-Y is the new DIY! We partnered with Gap at this summers Wanderlust Festival which brings together the world’s leading yoga teachers, top musical acts and DJs, renowned speakers, top chefs and winemakers, and much, much more. 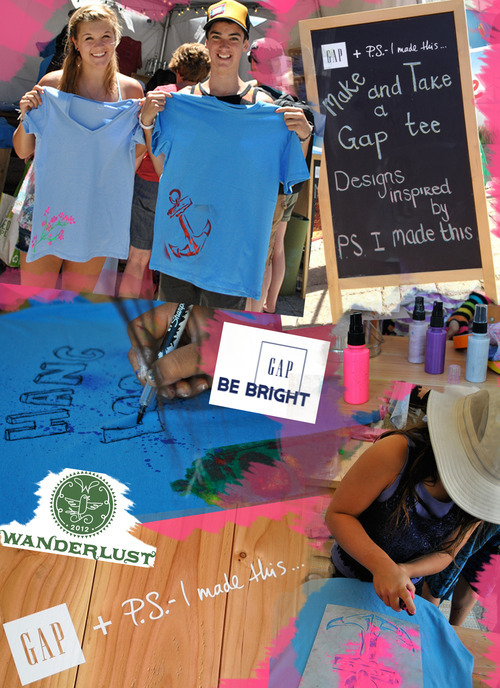 Guest popped by the “Be Bright” Gap tent to get crafty and creative with fun stencils from Stencil1 and fabric paint and sprays from I Love to Create-using Gap’s Favorite Tee as their blank canvas. Check out more photos from the weekend here! P.S.- Exciting stuff! We’re giving away a $250 gift card to GAP! Stock up on tees and duds to DIY or simply layer into your summer wardrobe. 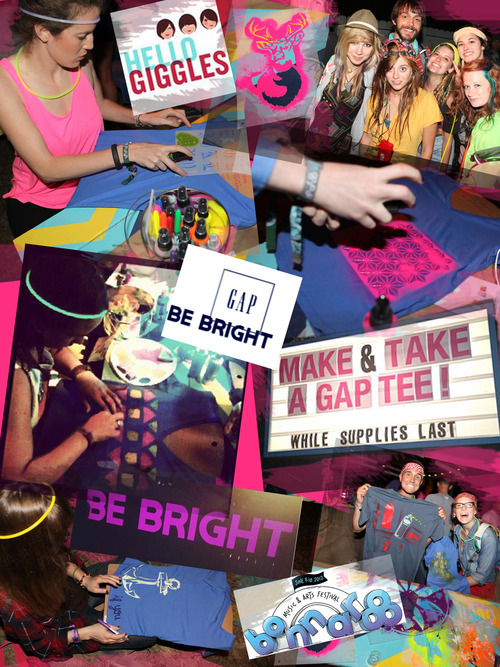 To enter, follow @gap & @psimadethis and tweet us a #BeBright message and remember to stay crafty. 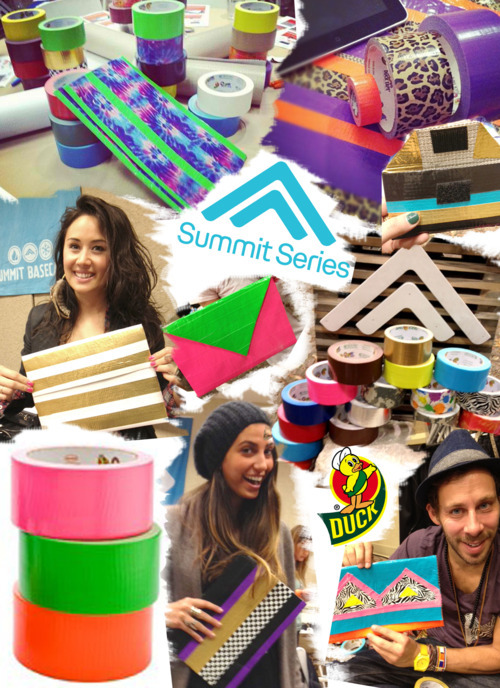 Summit Series brings together the most innovative, intelligent, movers, shakers, do-gooder’s, and game-changers in today’s world. This year, 500 Summit’ers gathered in Squaw Valley, CA for a weekend where brilliance was brought to the table. The world’s leaders in the tech, social, philanthropic, media, & fashion communities gathered for a 3 day meeting of the mind, body and soul. Erica, a Summit Series veteran, hosted a DIY Workshop where she helped people get in touch with their inner designer and create vibrant and unique tablet cases for their iPads, Nooks, Kindles, using Duck Tape. Click here to see more pics from the workshop. 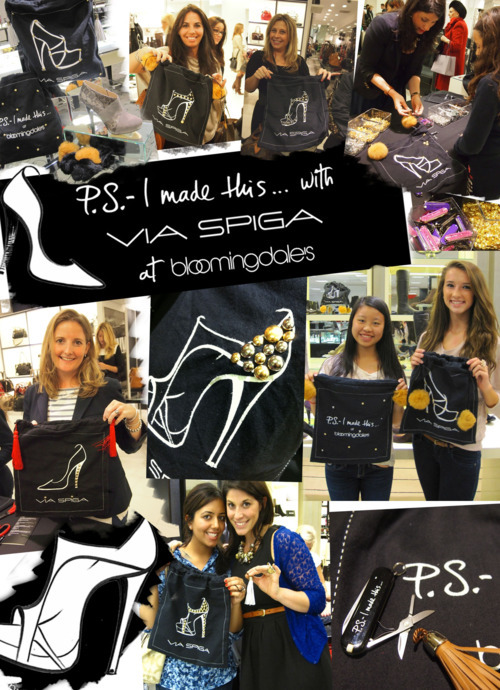 P.S.- I made this… partnered with ViaSpiga and Bloomingdale’s for two fabulous east coast events in NYC and Virginia! We designed custom shoe bags featuring several of Via Spigas hottest Fall styles. Each limited edition bag was available to be DIY’ed and customized with fresh fall fashion accents that were to D-I-Y for! Our crafty crew chose from assorted tassels, furry pom poms, and metallic studs to decorate their bags. We used P.S.- I made this… Swiss Army knives to snip and finish off each masterpiece. We kicked off the Via Spiga craft club at Tyson’s Corner, VA and returned back to our beloved NYC for an evening event at the Bloomingdale’s Flagship on 59th street. 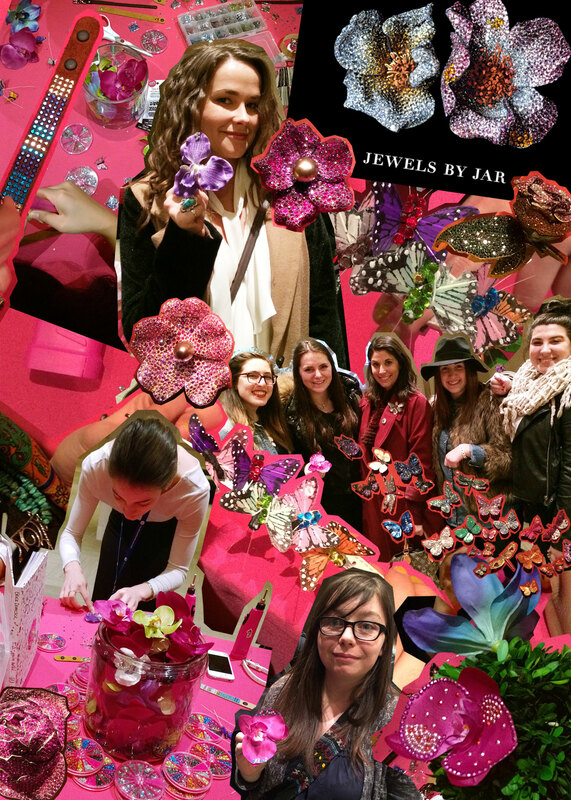 At both events, the Bloomies shoppers blew us away with their creativity! Check out more pics from both events here. 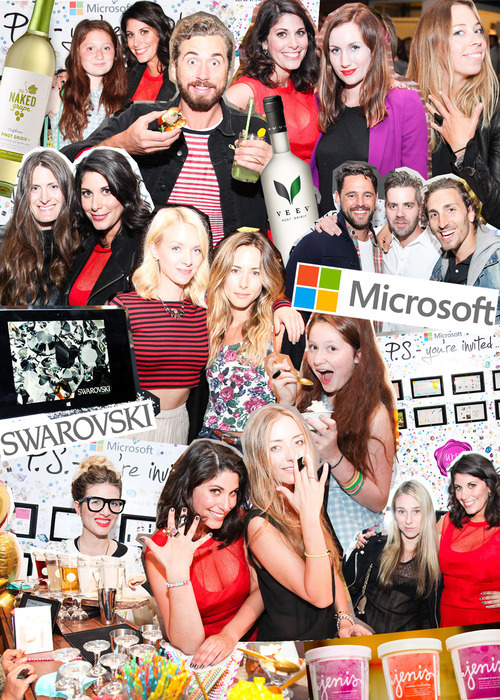 P.S.- FNO 2011 was a blast! The brand new 5th floor of Saks Fifth Avenue was the place to be. We spent the evening DIY’ing Goody headbands & hair combs, and braided key chains for customized P.S.- Swiss Army knives (the perfect on-the-go crafting tool). Vivid patterns and colored fabric mixed with chains turned into bracelets and necklaces before our very eyes to the sounds of Questlove. 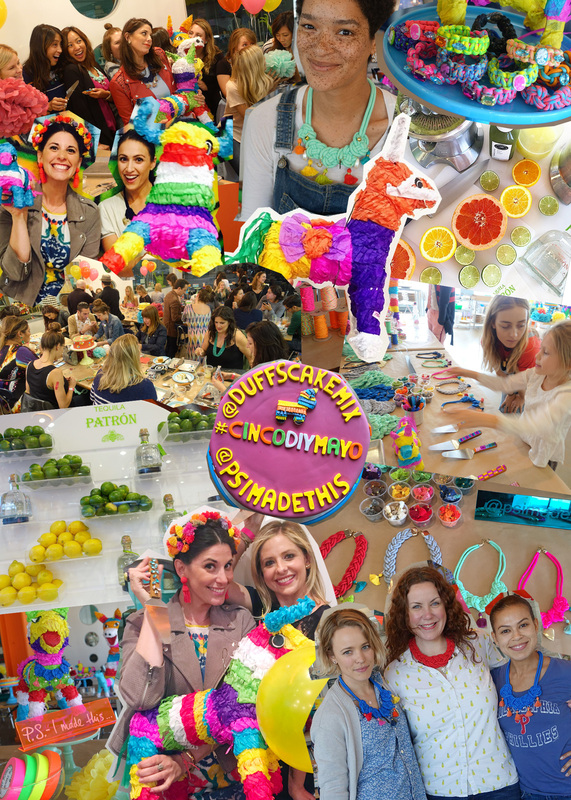 Between the crafty beats and the bevy of projects, everyone was in DIY heaven! Click here to check out more pictures from the night. P.S.- we love Design Sponge! 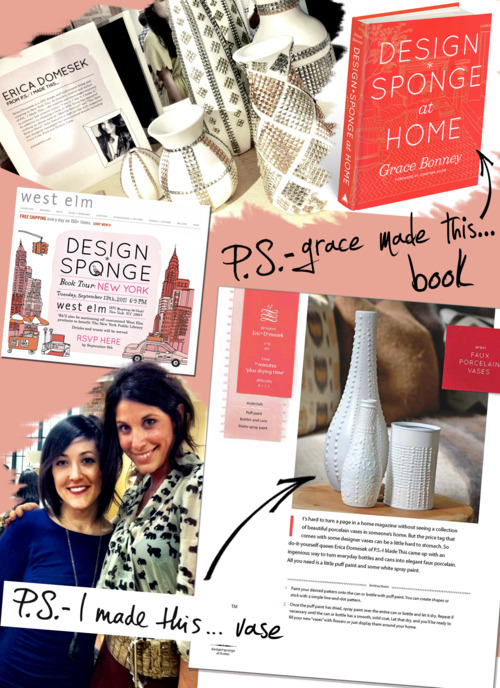 Our dear friend Grace Bonney has a wonderful new book out- Design Sponge at Home. 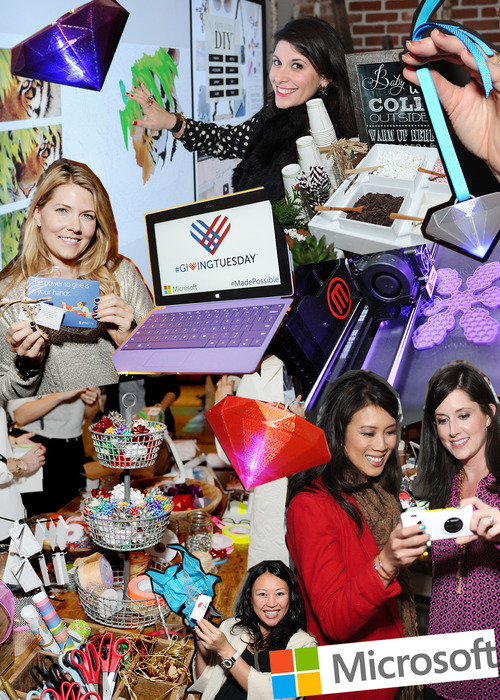 We were so honored when she asked that P.S.- I made this… contribute a project! Inside this fabulous book you will find our tutorial on the Faux Porcelain Vases. The book is filled with home tours, DIY projects, step by step tutorials, before & after home makeovers and tons of other tips! Grace and her team have been touring the country, partnering with retailers like West Elm to celebrate the books birth. Erica attended the NYC event where she P.S.-ed a custom West Elm DIY vase set that was auctioned off to a lucky party-goer! These were made with both gold and silver adhesive studs. The winner, a former Hermes employee, said she was drawn to the Hermes-esque shiny stud detail. We love how they turned out! P.S.- check out the book!